Lately, things were apparently quiet at 1010music (makers of powerful Eurorack modules such as Bitbox and Synthbox). Now we understand why – they were working on Blackbox, a standalone, touchscreen sampling music workstation! 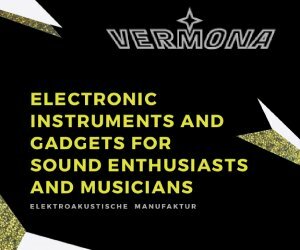 Personally, the moment I saw their Eurorack modules I thought ‘these would be pretty cool as standalone units too’. Well, here we are… Blackbox is a portable (and I mean EXTREMELY portable, it fits in your hand!) sampler and groovebox that lets you record, save/load, apply effects and edit one-shot samples and beat-sliced loops. Create sequences with samples by tapping on pads, playing a virtual keyboard, using external MIDI controllers or by drawing-in notes using a standard Piano Roll editor on a fast touchscreen interface. Sequences can be played back to create song sections and entire compositions. Finish your song by mixing it, adding stereo effects and by saving it as a Preset for fast and easy recall. You can record hours of song ideas, jam sessions, and performances thanks to a microSD slot that enables you to expand internal memory. Blackbox comes with gigabytes of premium samples and loops by SoundTrack Loops and Loopmasters to let you start making beats right out of the …box. 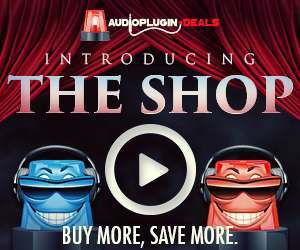 • Record/edit samples and sequences to create songs via a fast, intuitive touchscreen interface. • Expandable microSD memory slot for importing WAVs, hours of audio recording/playback time and saving samples and Presets. • Combine loops with different tempos using built-in BPM synchronization and beat-slicing. 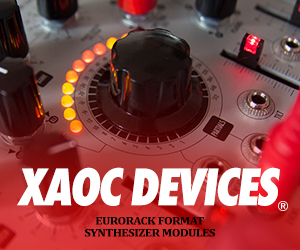 • Play one-shot samples and loops from pads and/or a virtual keyboard. • Create and edit sequences using a standard Piano Roll interface. • Connect external hardware via USB to expand performance and control capabilities. • Make music anywhere thanks to a compact and nearly indestructible design. 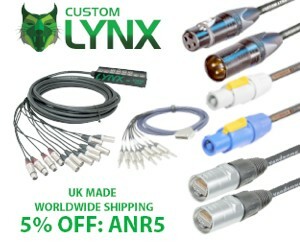 • Input/output connectors to easily integrate with other studio and live sound tools: MIDI IO and Clock via USB and TRS, one 1/8” Audio In, three 1/8” Audio Outs plus a 1/8” Headphone/Stereo Output and USB power. 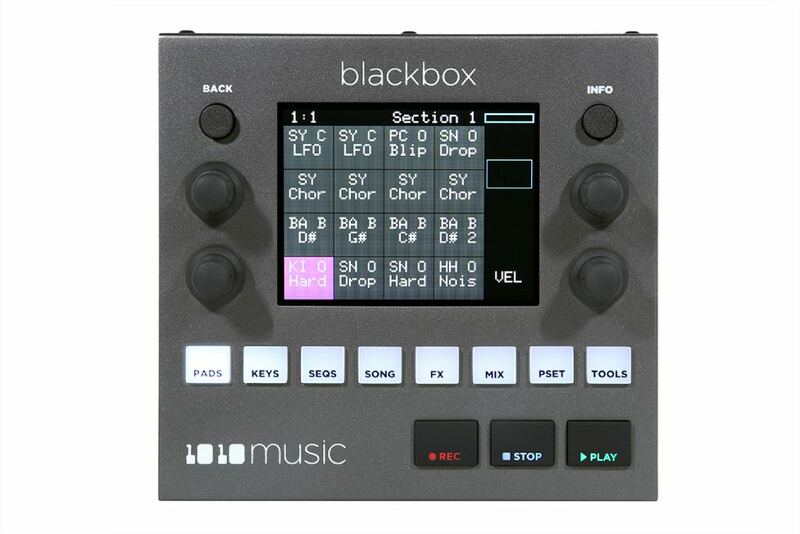 Blackbox is available May, 2019 from 1010music.com and their resellers for $599 USD. For information visit the 1010music website.